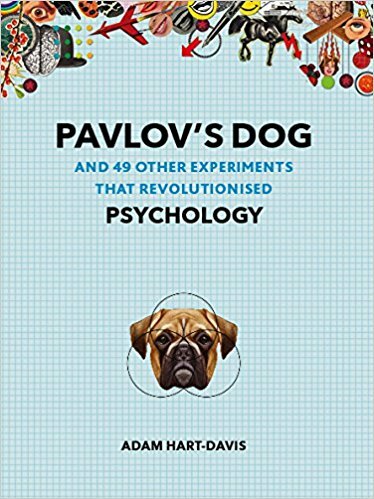 MY PREVIOUS BOOK …. 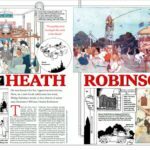 Very Heath Robinson published May 2017. 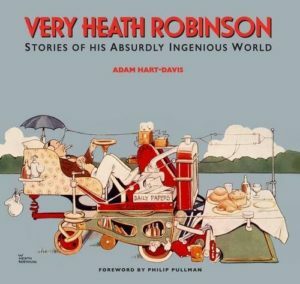 This book takes a nostalgic look b ack to the imaginative and often frivolous world of William Heath Robinson, one of the few artists to have given his name to the English language. 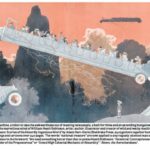 According to the Oxford English Dictionary, the expression Heath Robinson is used to describe ‘any absurdly ingenious and impracticable device of the kind illustrated by this artist‘. 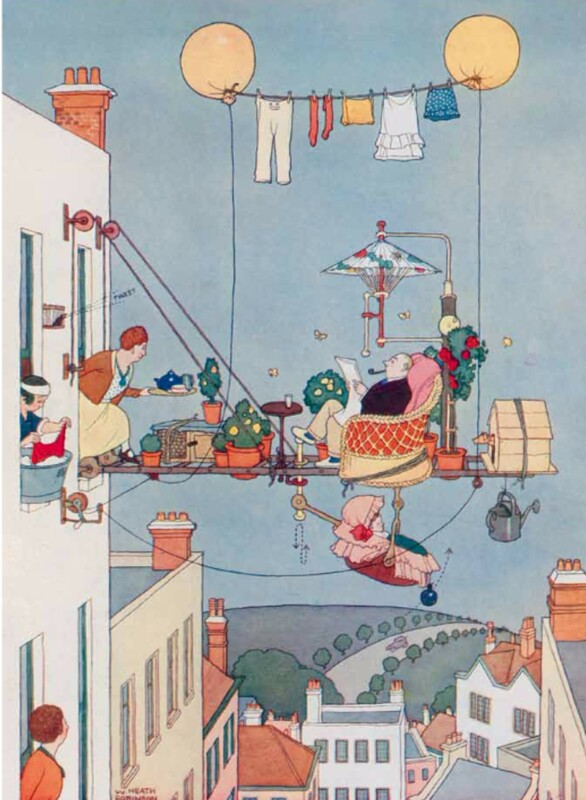 Yet his elaborate drawings of contraptions are not the only thing to make this book very Heath Robinson. 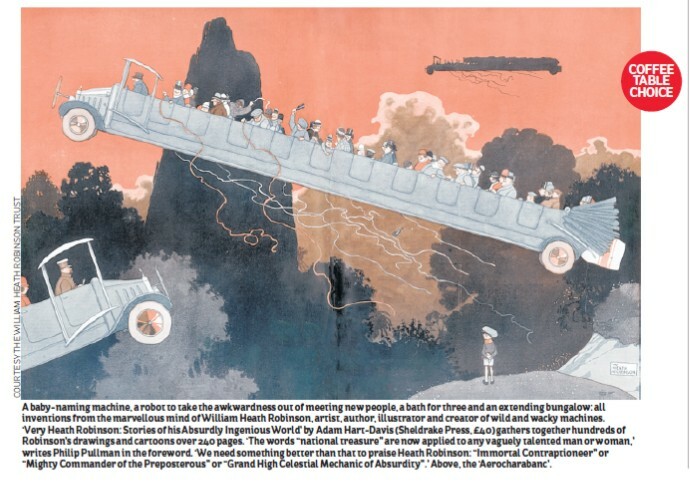 Full of quirky images from Romans wearing polka dots to balding men seducing mermaids, Very Heath Robinson presents an unconventional history of the world in which technology and its social setting get equal billing. 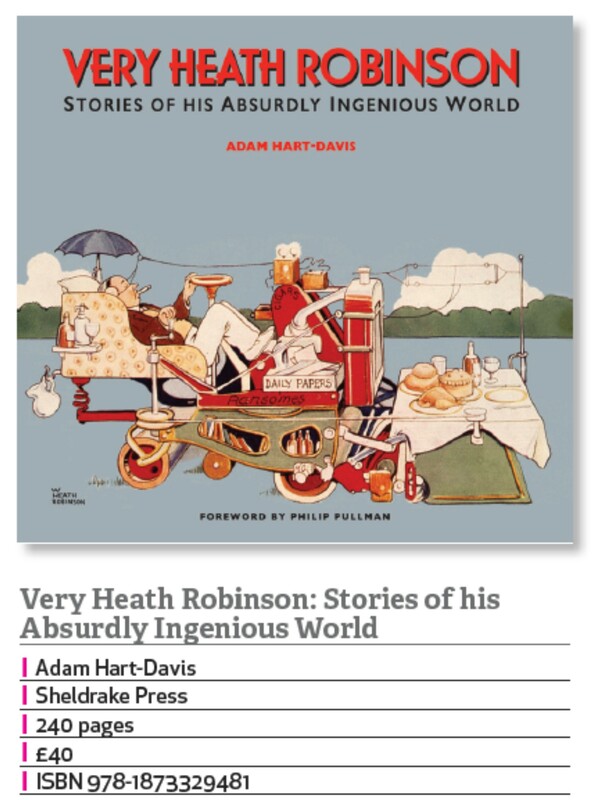 Illustration Magazine, Summer 2017: A curious mix of reality and imagination, mundane daily tasks and ludicrously improbable situations make William-Heath Robinson’s machines fascinating, hilarious and, occasionally, only just across the line of feasibility, says Adam Hart-Davis. 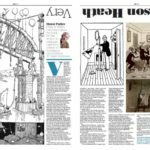 Country Life Magazine, May 2017: HEATH ROBINSON is in the air. 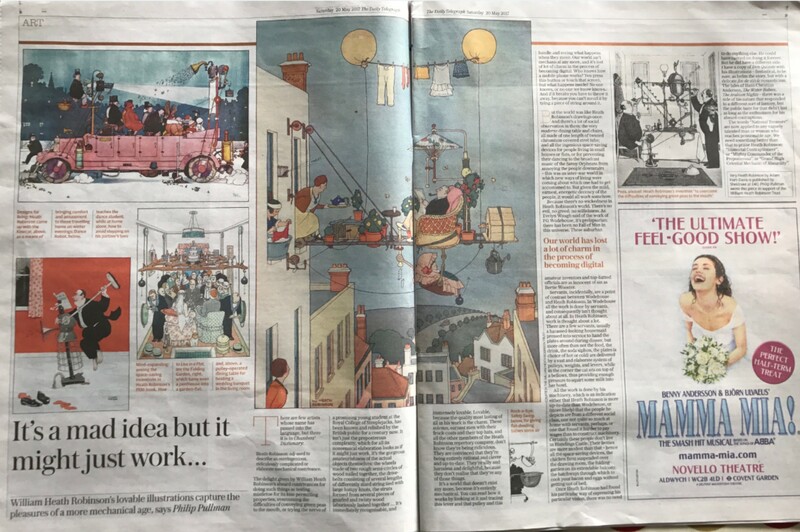 A new museum devoted to the life and work of the celebrated ‘contraption cartoonist’ opened in Pinner this year and now we have this handsome celebratory book, with a foreword by Philip Pullman, who notes that, ‘the quality most lasting of all in Heath Robinson’s work is the charm’. 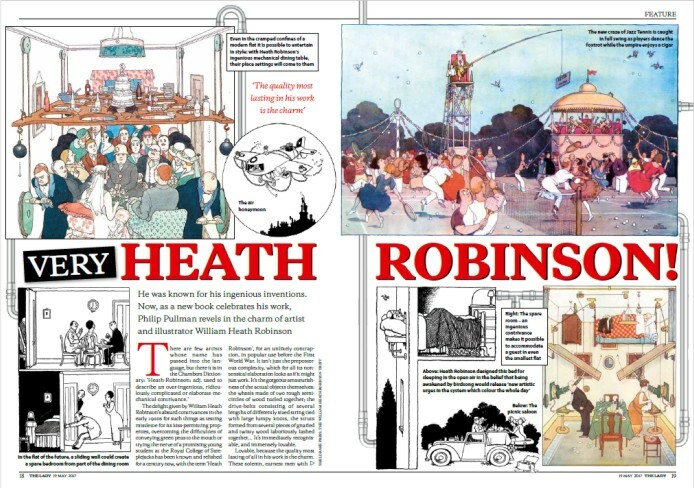 inventions from the marvellous mind of William Heath Robinson. 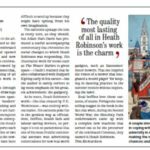 The Spectator, May 2017: The expression “Heath Robinson” has entered the dictionary to mean an over-ingenious, ridiculously complicated or elaborate mechanical contrivance”. 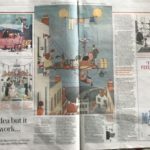 The Sunday Telegraph, May 2017: ran a double-page spread on the book and you can buy it from their bookshop. 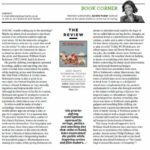 West Country Life, June 2017. 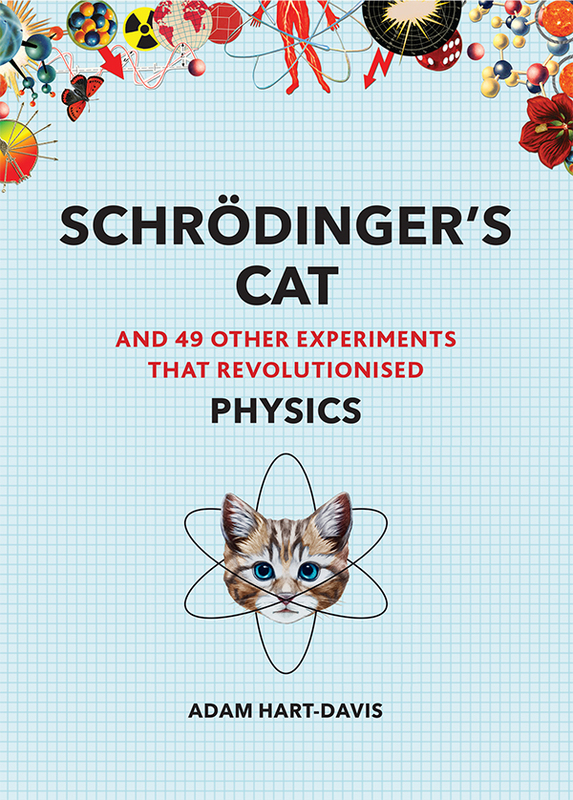 Simon Parker chats to Adam Hart-Davis about the book he has written to celebrate ingenious creator of home spun mechanisms, W Heath Robinson. 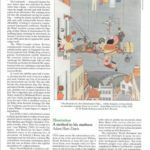 Here is a review of the book on the Female First web site, May 2017.